This is a topic that is very dear to me, because one of my core beliefs is that information is most valuable when it is shared. 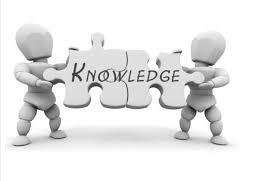 Nevertheless, we not always decide to share information that we find useful or interesting. Why is that? 46% of the users, globally, share content on a daily basis. cultural aspects are very important when it comes to sharing decisions, while 80% of the Chinese respondents share consistently on social media, 90% of the Japanese respondents don’t share or share very rarely..
sharing funny (35%) and informational (38%) content is mostly common, with the humorous content being regarded as garnering most attention from friends and followers. the political content, on the other hand, is the least favored in all countries analysed except for Turkey, where 22% of the respondents say they favor political content. most people share to be useful (32%), thoughtful (17%), creative (13%) or resourceful (12%). The Japanese stand out as 21% of them share to feel “unique”. With all that in mind, I tried to make a categorization of the types of sharing decisions that most of us take. 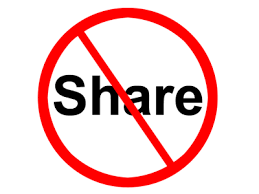 Then I will have a look at what might go on when we don’t share, and finally, I will try to draw a few conclusions about sharing in an effective and authentic way. I do these categorizations because my mind works well with taxonomies. That used to be the way I learned in school, and that is the way I strip down an issue that I need to figure out or a plan I need to put down on paper. Nevertheless, these categories stand under the assumptions that we have already “consumed” a piece of information that we don’t own and that we’ve found it notable (in any way). 1. 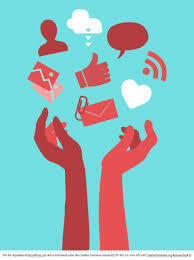 Sharing for “support” – to support a friend, a cause, an institution or a person, to help them get heard, if they matter enough for us we use our network to reverberate their message. 2. Sharing for “staying in touch” – we share content to start conversations and stay in touch with people who share our interests. 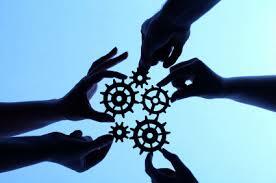 We share so that people remember us, stay in touch with our interests and maybe engage in a conversation. 3. Sharing for “defining the self” – as a means of self assertion, of identifying ourselves by what we like or find interesting, noteworthy, amusing, etc. 4. Sharing for “helping others” – it is clearly a piece of useful content, and our sharing of it stands proof that we can empathize with those who might need the information. Or we share to gather support for helping a cause or a person (donation, volunteering, etc). 6. Sharing “fresh news” – news are so hard not to share when they are steaming hot, that apparently 40% of the media outlets’ news reach the readers through social platforms. 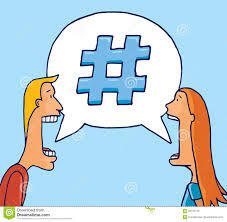 Notably Twitter is a platform that has specialized in sharing news, and people create their networks of friends or followers for this purpose, among others. 7. Sharing “as a reminder” – we often share content just to get a hold of it for future reference, to pin it in place on our home-page. 8. Sharing for “emergency” – sometimes there are emergencies happening when sharing information in real time is of most importance, and then, people use social networks to do this. 9. Sharing the “elating/stupendous” or “to good not to share” – pieces of content that are so good, so interesting, so innovative, so amusing that we feel anybody would enjoy it. 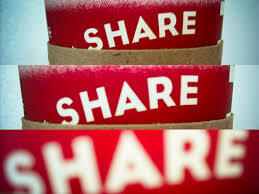 Of course, sharing interesting stuff makes us feel a little more interesting, also. 1. Out of habit or cultural upbringing, a sense of privacy or discretion. This is definitely the case for the Japanese, but many cultures or traditional communities value discretion and modesty. 2. Out of high personal scrutiny – very few things are worth mentioning to such a large audience. These are instances when we balance the utility of the content with the immense power that social media garners for putting out the word Is it right to use a missile to yield a bullet-like power? 3. Doubting the source – source is key to sharing. People need to perceive the source as legitimate so as to start sharing it. In some countries media outlets are perceived as being the most legitimate, in others, on the contrary,. Professional communities or individuals are perceived to be very legitimate. 4. Doubting the subject matter or the way it is presented – while it drew our attention we might decide that the content could be better or more clear. First of all, keep in mind the context when you decide to share. Some piece of information might seem interesting or clear to you because you have a solid background on the matter. On the other hand, some very good content might seem boring for that very same reason. Your level of understanding will always influence your sharing decisions. Secondly, what you share speaks loudly about yourself. It says others what you think about, what you read, what type of language you prefer, what is your perceived audience, what are your aspirational models, what type of humor you like. While these things are fluid and change over time, the multitude of traits can help people draw important core conclusions about your character and personality. Stay away from oversharing, because everybody hates it. Even if you genuinely like and consume a certain type of content, you should not burden your social network with all your readings and videos. Instead, right a message to your friends and recommend your sources if you think they are so useful. And finally, being authentic will consolidate your network and friendships, while going away from who you are will appear dissonant and eventually damage your connections. Hope you liked this post and please let me now if you think there is a category that I left out. I am sure I didn’t manage to cover it all.